Cutting-Edge Technologies for Renewable Energy Production and Storage: Call For Manuscripts Open! Applied Sciences, an international peer-reviewed open access monthly journal published by MDPI, is looking for contributions to the Special Issue “Cutting-Edge Technologies for Renewable Energy Production and Storage”. The keys to a further renewable energy deployment and integration is tightly connected to grid connection and storage issues because of the fluctuating nature of source of energy such as the sun, the wind etc. Electrofuels (power-to-gas/liquids/fuels or synthetic fuels) and bio-electricity may represent innovative yet still extremely expensive solutions to reduce greenhouse gasses in the field of aviation transport, for example. 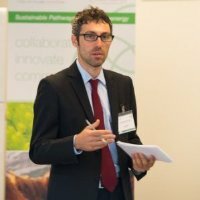 “In spite of these present challenges, the further development of cutting-edge technologies is one of the pillars for directing the world on the path of a low-carbon future”, states Dr. Matteo Prussi (EC Joint Research Centre, Directorate C – Energy, Transport and Climate, Energy Efficiency and Renewables), Guest Editor of this MDPI (Molecular Diversity Preservation International and Multidisciplinary Digital Publishing Institute) special issue within the section “Environmental and Sustainable Science and Technology”. Key themes are: energy conversion technologies and energy storage, technologies integration, e-fuels, pilot and large-scale applications. Deadline is by the 30th of April 2019.